Runs on automated CD insertion equipment. 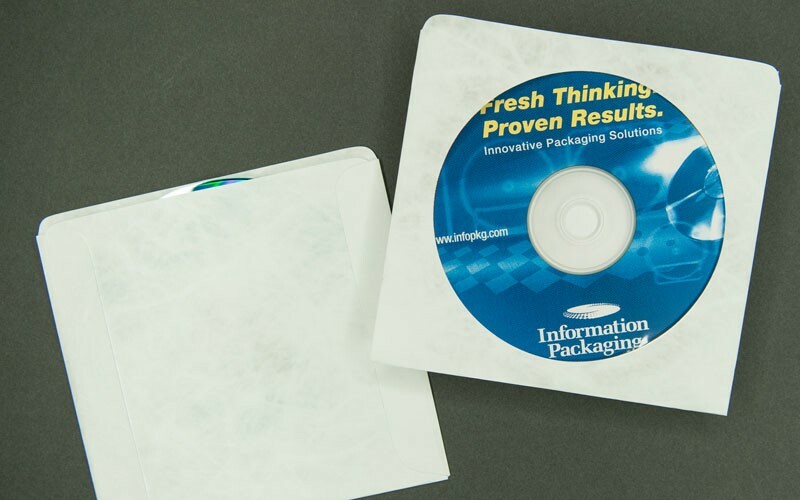 Tyvek® is the most durable material used for CD packaging. It is tear and chemical resistant and repels water. Tyvek® is non-abrasive, dust free and has anti-static protection. These sleeves will come to you with no flap. Our CD windows are made from polypropylene – a high quality clear plastic that is durable, non-abrasive, and won’t wrinkle. 100% made in the U.S.A Custom printing is available for Tyvek® CD/DVD Envelopes. Please call Information Packaging for more printing information.